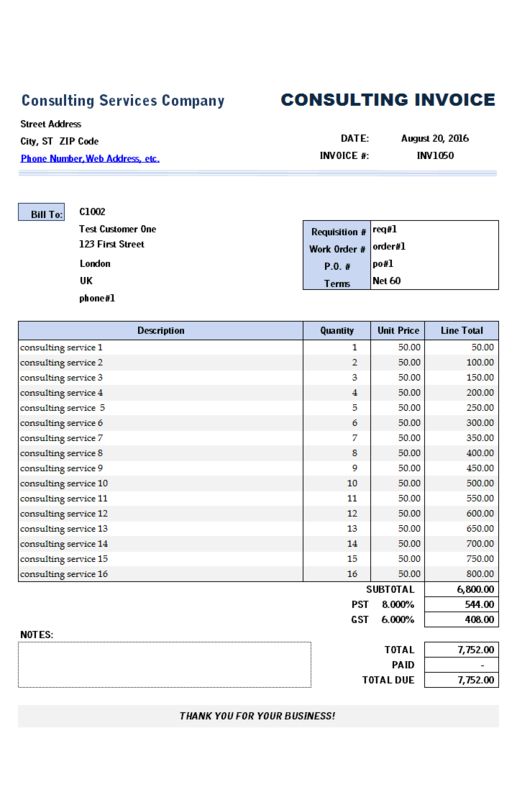 Every business is different, so your consulting invoices should be. 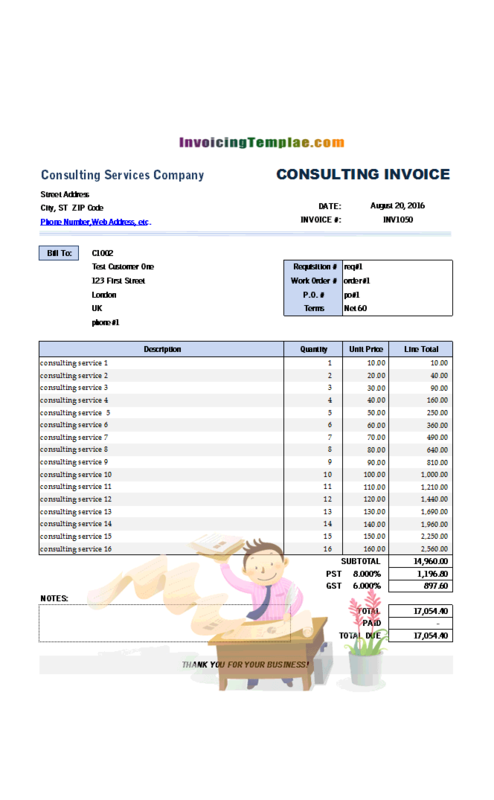 As detailed in this sample, changing the color palette in Excel could quickly give the original consulting invoice template a different look and feel. 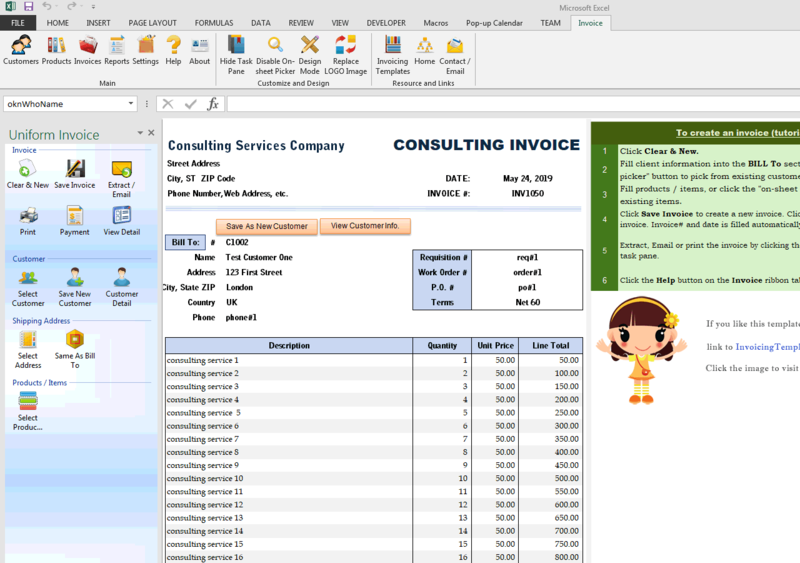 c4017 now includes the customized invoice template for the latest version of Invoice Manager for Excel. 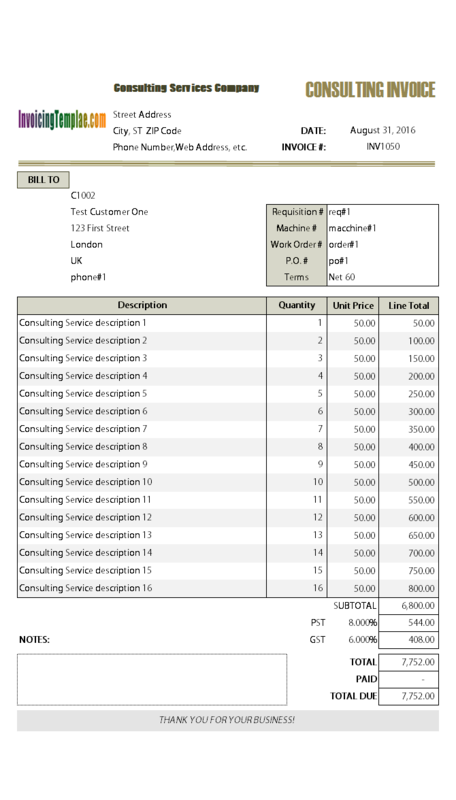 This is what you will see when you open sample2consulting.xlsx. 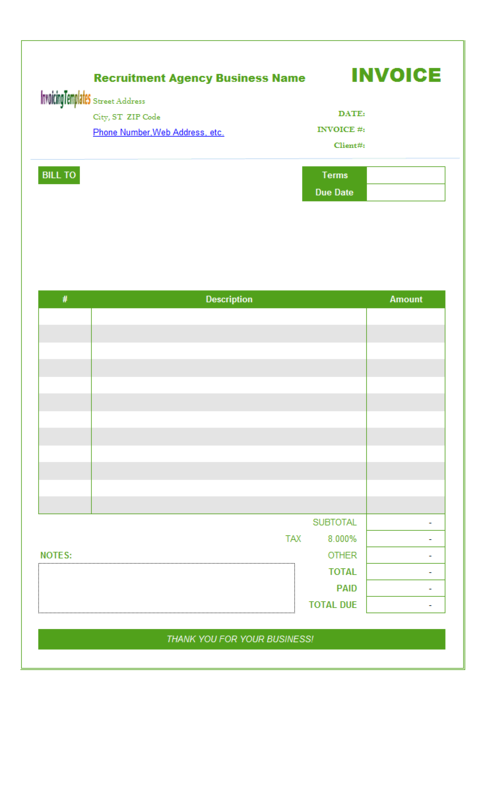 While it's understandable to have so many invoice templates in the similar color style, your business is different and special, so without doubt it is better to have a special invoice design that meets your business style and requirements. 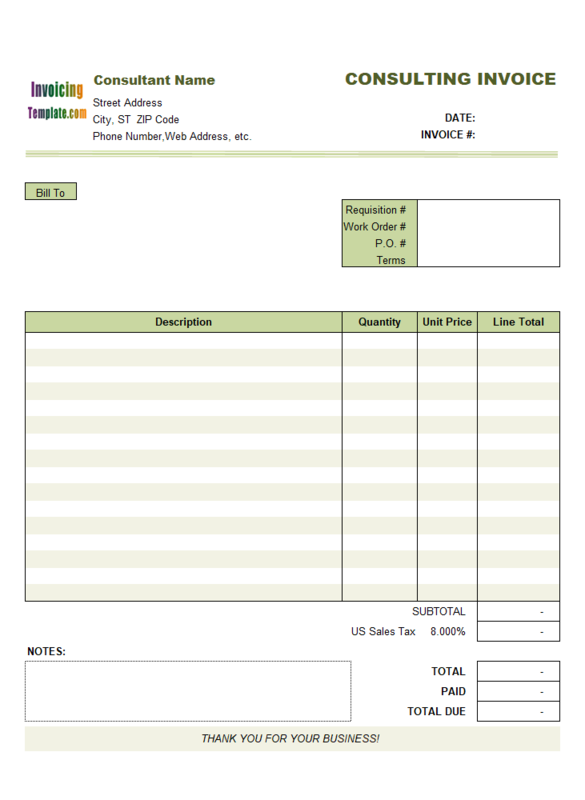 In addition to changing company details and replacing the logo image on the top of the invoice form, applying a new color theme is an easy and quick way to let your invoices stand out. So, here is the steps to quickly change the color palette in Excel 2010 to apply a new color to the consultant invoice template. 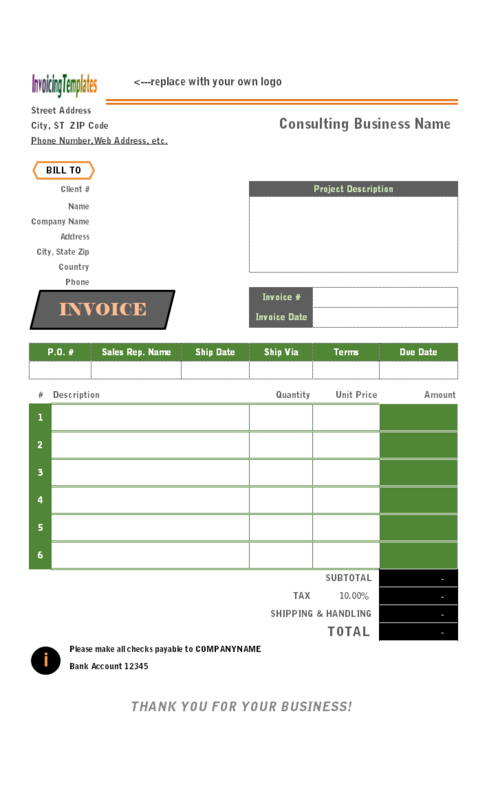 Note that if you use the Invoice Manager for Excel (namely Uniform Invoice Software) version of the consulting invoice template, it is necessary to unprotect the Invoice form before you can customize it. 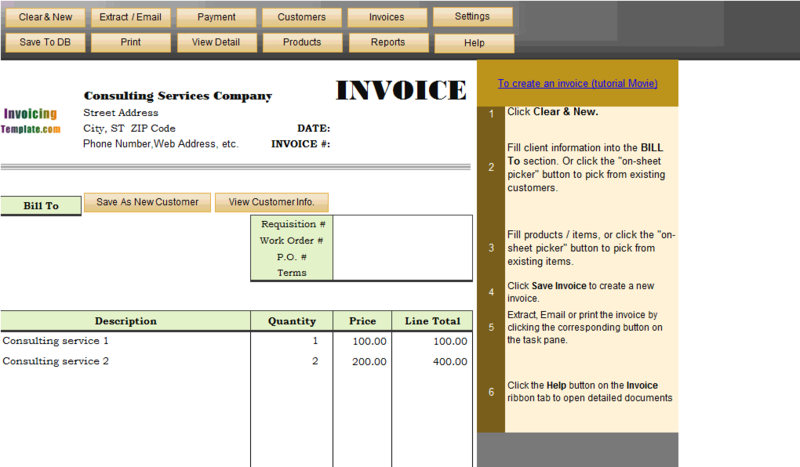 Microsoft Excel provides powerful tools for customizing the invoice form. 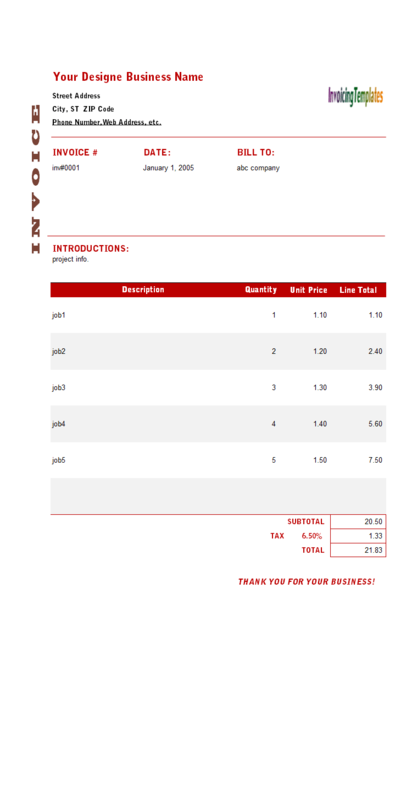 Changing the color theme is just a simple step, yet it results a consultant invoice template with a new and different look and style. 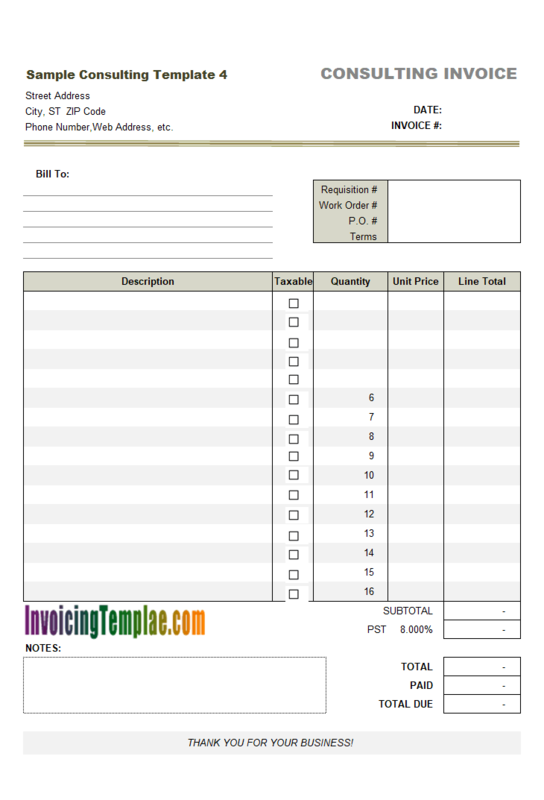 There are many more things you can do with Excel, which we'll detail in future invoice samples here on InvoicingTemplate.com. 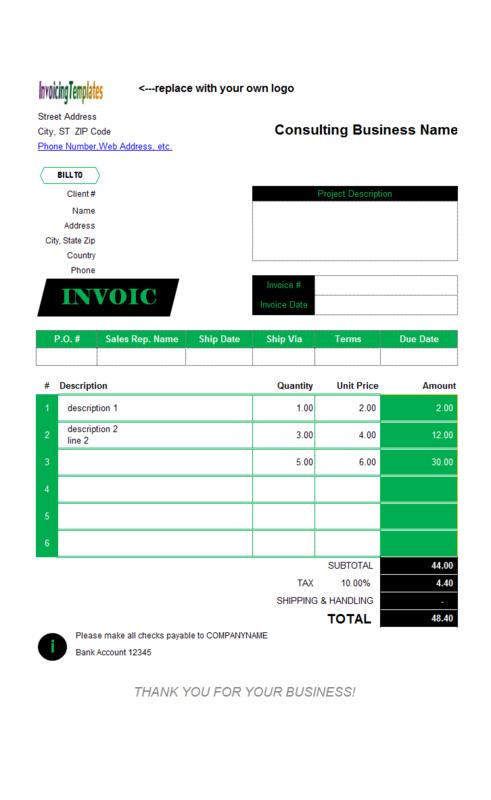 Invoice Manager for Excel (namely Uniform Invoice Software) leverages not only the power of front-end Excel, but also the power of backend database, gives you easy-to-use yet powerful invoicing system. 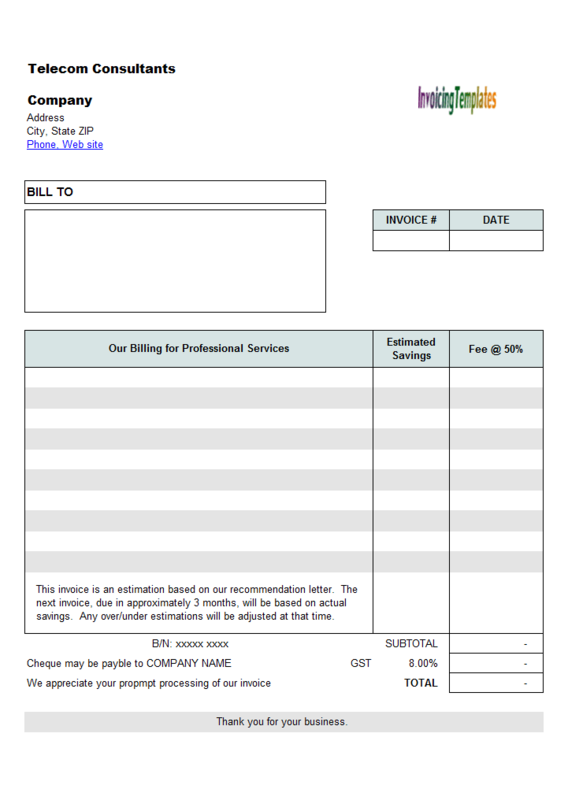 Feel free to download and try the fully functional trial version along with the consulting invoice template that you like. 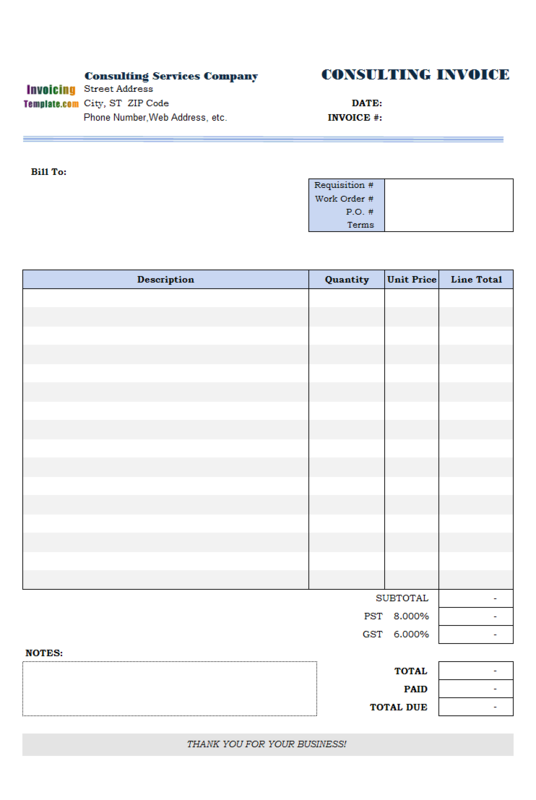 Like other form designs here on InvoicingTemplate.com, Consulting (2nd Sample) is free (offered to you at a price of 0.00USD). It works on Windows XP and all newer versions of Windows, and Excel 2007, 2010, 2013 or 2016. 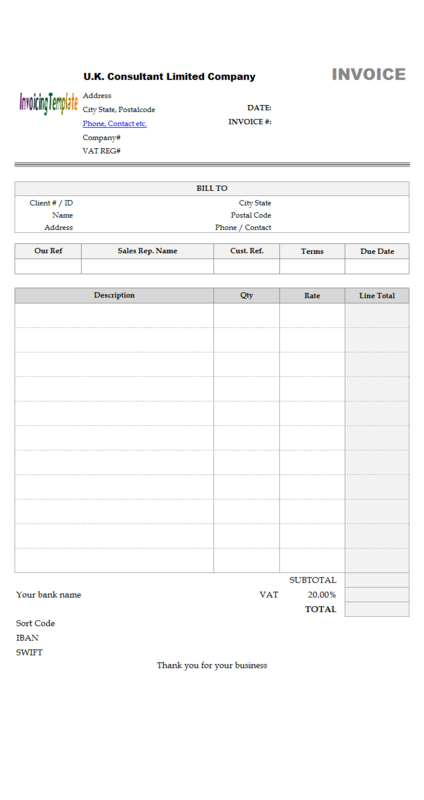 Uniform Invoice Software v4 style. Default logo image moved to the center and bottom of the form. All items are taxable. The "Taxable" checkbox column is removed.